Multiple wild fires have broken out across Southern California this week. The largest fire, known as the Thomas Fire, is burning just northwest of downtown Los Angeles in Ventura county. By Wednesday morning, this fire had already burned 65,000 acres and destroyed hundreds of homes and businesses. Just this morning, officials responded to a brush fire in Los Angeles. This blaze has been dubbed the Skirball Fire and has prompted evacuations in the Bel Air area and even shut down the 405. Unfortunately, fire weather conditions are expected to continue over the next few days as Santa Ana winds continue to gust close to 40 or even 50 mph. 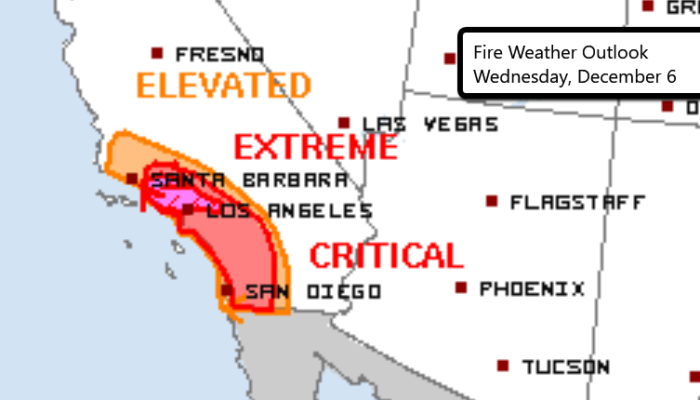 The SPC has a Critical Fire risk for places including Los Angeles, Long Beach, and Anaheim. 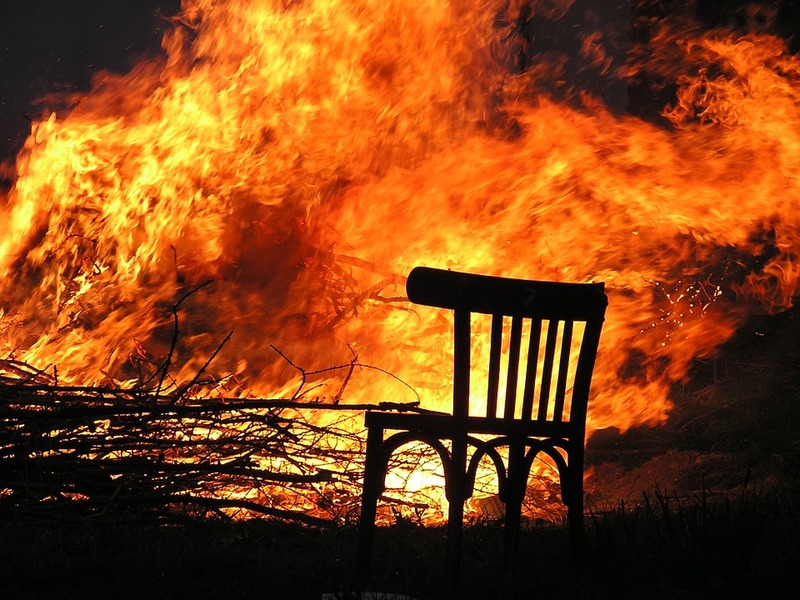 An Extreme Fire risk includes Glendale, Oxnard, and Santa Clarita.